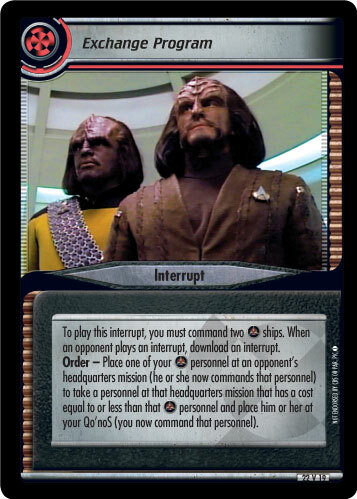 To play this interrupt, discard two cards from hand. 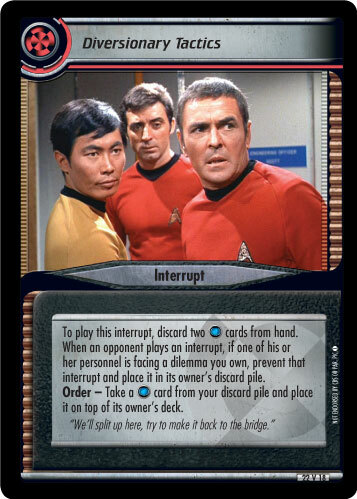 When an opponent plays an interrupt, if one of his or her personnel is facing a dilemma you own, prevent that interrupt and place it in its owner's discard pile. 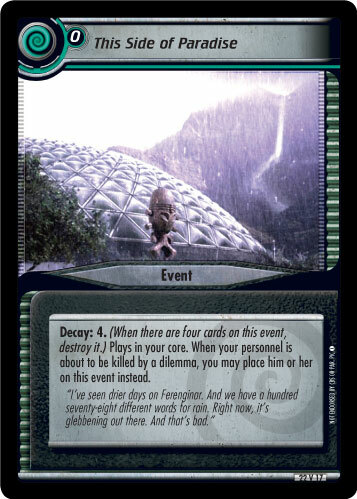 Order - Take a card from your discard pile and place it on top of its owner's deck. "We'll split up here, try to make it back to the bridge."